Michael P. Torrice is an associate in the workers’ compensation department. He received his bachelor’s degree in Economics from Rutgers University in 2007 and obtained his J.D. from Widener University School of Law with a certificate in business organizations in 2013. Michael was admitted to the New Jersey Bar in 2013 and the Delaware Bar in 2014. After law school, Michael completed a judicial clerkship with the Honorable Eric M. Davis in the Superior Court of Delaware. 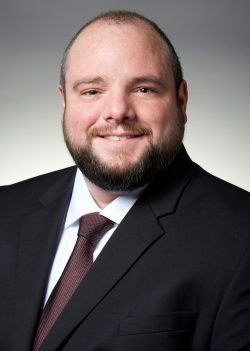 Following his clerkship, Michael worked as an associate at a corporate litigation boutique, where he gained experience as part of a trial team culminating in an eight-week trial in the District Court for the District of Delaware. Michael is a member of the American Bar Association, the Delaware State Bar Association, and the Richard S. Rodney Inn of Court. Originally from Mount Laurel, New Jersey, Michael relocated to Delaware for law school and now resides in North Wilmington with his wife, Noelle. In his spare time, Michael enjoys playing golf, hiking, traveling, and spending time with family and friends.